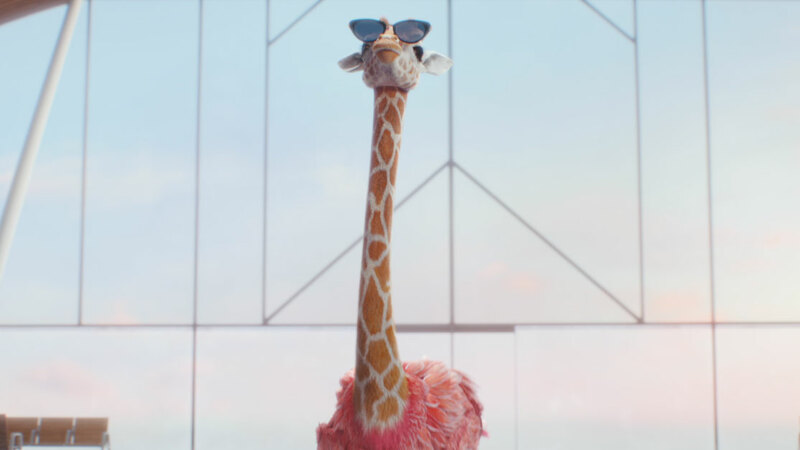 The ad, created by Wieden & Kennedy London, features Three’s animal hybrid character Giraffamingo, and encourages customers to "Travel with swagger" with the help of Hands Free and Three’s Go Roam, which offers roaming in 71 countries at no extra cost. Hands Free allows travellers to check in a cabin bag at the desk, board early and be the first to collect their bags on arrival. It normally costs £5 per person each way, or £12 for a group of up to six.